It was a small group of us from SCSTC that gathered in Germany for skiing and adventure but the fun and laughs were huge. To begin, we celebrated Karol and Dan Steeves 10 year Anniversary remembering when they married in Lillehammer, Norway on another FSC trip. To boost the celebration, the Gregor's drove south from Hamburg to join the fun. While the adults skied a glacier, the youngest foreign member of the SCSTC, Lars, age 4, took ski lessons for the first time. 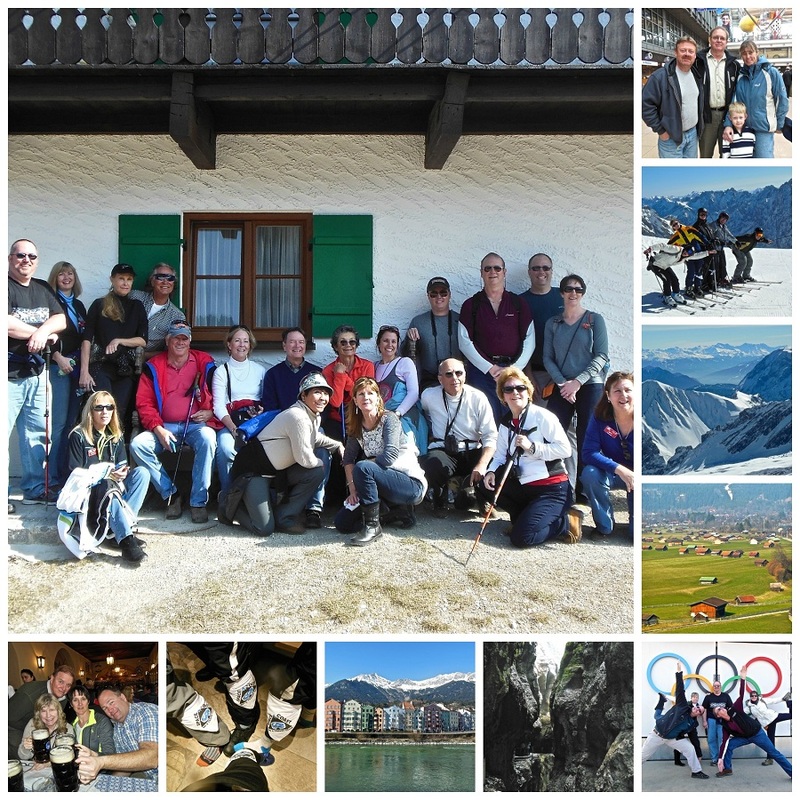 Together, we skied, toured Ludwig's Linderhof Castle, explored Innsbruck and stood on the highest point in Germany, the Zugspitz. A highlight of the trip was the day we climbed to the top of the Olympic Ski Jump and hiked the Partnach Gorge. In Munich, we spent time in the Marianplatz, BMW Showroom and the world famous Hofbrauhaus. All this while enjoying as much of the finest German beer we could manage to consume! To see and experience far away lands with our best friends, the Steeve's, Gregor's, Quenzler's and Sean (from Holidaze) will always make for the most special memories.